Jen grew up in the Chicagoland (IL) (Warrenville/Naperville) area. In 2010 she moved to Milwaukee, fell in love with Wisconsin, and the rest is history! Jen works in Mutual Fund Administration and completed her MBA in 2014. She finds her happy place on her mat after enduring long days at the office and is grateful to have found yoga to balance the many stresses that she, like many, face on a day to day basis. Jen has always been active, with a particular love for gymnastics. Jen was thrilled when she attended her first HOT power yoga class and learned about the playful and invigorating side to yoga. After becoming enthralled and addicted to HOT yoga she knew opening her own studio was the right business for her. She is extremley excited to offer the Tosa community its first HOT yoga studio and is eager to watch others transform, as she did, mind, body & spirit. Namaste. Ultra-marathoner, dog lover, and professed foodie, Inga Bentley is a tough combination of engineer-meets-yogi. She discovered early in her yoga journey the importance of strong breathing, bringing her deeper into the physical asana, leading to mental clarity. She has completed her 200 hour training with T Nolan Yoga. Her lifelong passion for understanding how things work has translated through her yoga in her systematic approach to a powerful vinyasa class. Inga focuses on strengthening the breath, helping students leave class feeling both grounded and refreshed. She helps students reach their goals on and off the mat. Join her in creating a better world one breath at a time. Real Estate Broker by day, Yogini by night! Emily has over a decade of practice under her belt and has been called to teach various styles of yoga over the past five years. With an affinity for vinyasa flow and all levels of moving meditation; her goal is to help students experience bliss and divine play. Holding space and creating unity. The opportunity to teach arose from what she refers to as the “silver lining”. Some unexpected down time resulting from an injury gave her the chance to study and sharpen her craft. As an instructor she is able to share her love of the practice with remarkable people and allow them the chance to work out while working in. Teaching is an art, yoga is everything, all the feels! Looking for a change to her workout routine, Kellie decided to give yoga a second chance in 2007. She was immediately hooked and couldn’t remember why she didn’t enjoy it her first time many years prior. 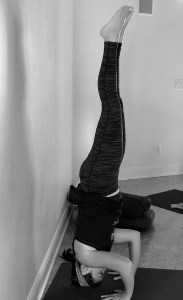 This second time around, Kellie attended yoga classes multiple times per week for the great strengthening and stretching she felt in her body. How she felt not only physically, but also mentally and emotionally afterwards was what drove her to make yoga a part of her daily routine. Kellie really believes that by moving the body in the way yoga asks us to, it allows for the mind to quiet and take a pause from the outside world. Since 2007, Kellie has been a pediatric Speech Language Pathologist, which she truly enjoys; however, if anyone would ever ask her what her dream job was, she would say to teach yoga. In 2018, she finally decided to make that dream a reality; Kellie completed her 200-hour teacher certification from Tosa Yoga Center. Since a young age, Kellie has always had a love for health and fitness. By completing her yoga teaching certification, she felt like she added a very important piece to this passion. Through teaching yoga, Kellie has gained a confidence she never realized she had. Kellie loves how a yoga studio or room offers such a sense of community and union; a union with the other students as everyone moves together, breathes together, and grows together. But also a union with one’s self; joining together body movement and breath. Kellie enjoys teaching a purposeful yoga flow with a mental theme; always encouraging students to move in a way that feels good for their body. Mindy is a free spirited, passionate, old-soul yogi. Her loving nature brings compassion and creativity into all aspects of her life - from the mat into the courtroom, as a criminal defense attorney, and everywhere in between. She is a new-age hippy and essential oil aficionado who lives passionately to improve the lives of others. Her yogic wisdom will command you through a powerful but fun vinyasa flow. Her genuine and playful spirit will light up your practice and empower you to light up your own life. She has been practicing yoga for over ten years and has a passion for the all things outdoors, travel, natural foods, and juicing. She is excited to see you on the mat! Katie is a nomadic yogi with a whimsical spirit who has been practicing yoga for over five years. But it wasn’t until last year where she deepened her yoga practice by going on her first week long yoga retreat in Costa Rica. It opened her eyes to so much more and inspired her to complete her 200 hr Teacher Training in Fall of 2015 with Tara Nolan. Her fresh perspective motivates you to tune into your true self and let your inner goddess shine through. 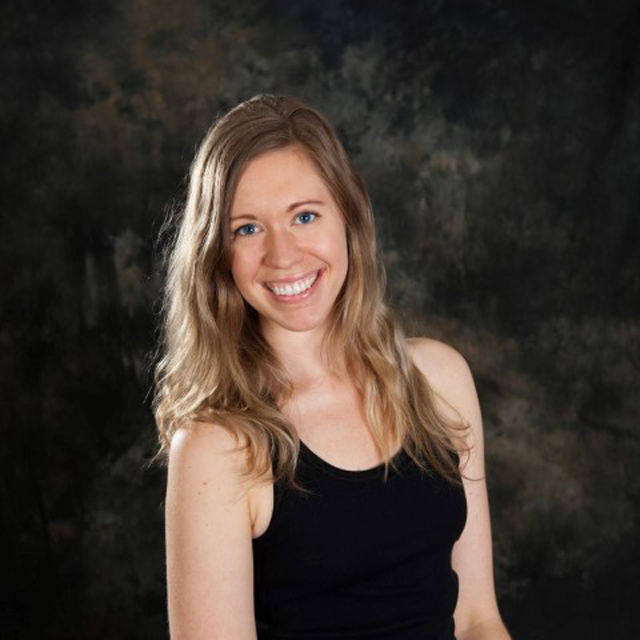 Katie brings a creative vision to vinyasa flow, allowing a playful and unpredictable class. Never afraid to try new things, her sense of adventure will bring students to new levels on the mat and all aspects of life. While not practicing yoga Katie loves spending time outdoors: hiking, camping, skiing you name it. Nomadic by nature she is always looking for a new place to explore and travel to. But when staying close to home you will probably find her in the hottest new restaurant sharing tapas and enjoying an occasional glass of wine! After having had so much change during my first year of college, I gravitated towards the things that made me happy. A big aspect of that to me was Yoga. Ever since I was little I loved the idea of art, I saw it everywhere and in everything. I wanted nothing more than to grab it, do it, and be it. When I first experience a Yoga class, I recognized it immediately for what it was- art. It was a beautiful blend of a freedom and creativity and a mix of individuality within a heartfelt community. Yoga does not judge. The decision to become an instructor stemmed from the desire to help others see the art within yoga, to gain confidence, and to spread happiness. Our front desk staff is here to help! Please do not hesitate to ask questions! !